What is the problem with organizing digital pictures? In order to properly learn how to organize your digital pictures you must understand what the problem is. I would like to explain this problem by using my own story as an example. Even though I could easily state the problem, I chose to go a little bit into details so that the root of the problem is exposed. Many people get frustrated with organizing their pictures and either create an inefficient system or just simply give up. The goal of learning how to organize your digital pictures is to be free to enjoy them. But in order to achieve this freedome, you need to put some thought into understanding the problem and then understanding and practicing the solution. So, let’s start with the problem. I bought my first digital camera in 2002 and I was so excited about the new possibilities digital cameras offered. I loved the fact that I could take lots of pictures and then later I could delete the bad ones and keep the good ones. So, I started taking my camera everywhere I went: hiking, backpacking and the beach. The pictures started coming fast and in large quantities. I loved the whole experience until one day I couldn’t find some pictures I wanted to show to a friend. I was frustrated, but eventually I did find them and I quickly forgotten about the incident. Do you know how to organize your pictures? However, more and more incidents like that kept happening and I soon realized what every new digital photographer realizes at some point: I have to learn how to organize my pictures. If I don’t, I will be overwhelmed by so many pictures sitting on my computer. I realized that my memory will only serve me for a limited time! My brain can only cope with a limited number of pictures. Once I go past that, I will be overwhelmed and frustrated unless I start organizing my pictures in an efficient way. If you want to know my whole story read about me. What is the fundamental problem ? The problem with organizing digital pictures is simple to explain but hard to solve. The problem is quantity…there are just too many pictures that we can take with a digital camera. It’s not bad that we can take many pictures…it is actually great…as a matter of fact this is the greatest thing about digital cameras. The only problem is that we have to learn how to organize them. If we don’t, then we will show all the symptoms that come with this problem: frustration and disappointment. Organizing your digital pictures is hard because you can take lots of pictures. All the problems with organizing your pictures boil down to one single issue: there are too many pictures you have to deal with. Your memory, no matter how smart you are, cannot deal with this quantity ! 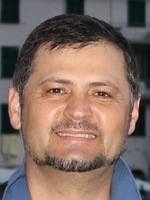 The problem I had when I first bought my digital camera was very simple in essence, but hard to solve. Simply put: there are too many pictures to deal with. Like most new digital camera users, I was not prepared to deal with this avalanche of pictures. In the past, I used to finish one roll of film in two or three months unless I had an important event when I would should one roll of film, maybe two at the most. But now, with my new digital camera I could easily shoot 200 pictures on one day hike…this is almost 10 rolls of film! Take a look at some of my mistakes and see if are making any of these. My first mistakes…are you making the same mistakes? 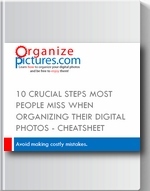 This is a simple list where most people, myself included, go wrong when considering how to organize their digital pictures. This list does not contain anything about tags or image metadata because these are advanced concepts. We have to start with the beginning because it is here that most people stumble. I had no consistency in naming the folders – you should always start with your folders. 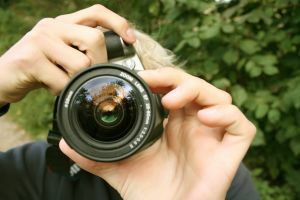 This will get you a long way towards building an efficient photo collection. Folder names do not provide enough information about their content. Folder names do not include a specific date for their contents. Many pictures are just “floating” having no parent folder. The take home lesson is that you must think about organizing your pictures if you want to be free to enjoy your growing collection of digital pictures. If you don’t use an efficient and consistent method for organizing your pictures, you will become frustrated very quickly. Trust me…I was frustrated too!